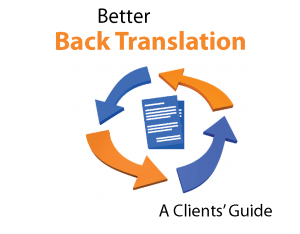 This article explains exactly what back translation is, how we carry it out, and why and when you should consider using it. 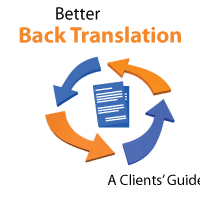 Plus we have a series of tips on who you should use for each step, and how to manage a back translation project. 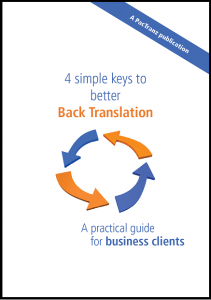 In short, everything you need to know to achieve better back translation outcomes. reconciling any meaningful differences between the two. Its purpose is to confirm the translation you’re about to use is accurate. Carried out well, it does this effectively. No problem. Download our free 28-page e-book (pdf) to read when convenient. BUT: don’t miss out on our 2 back translation videos further down the page! In several fields back translation is required to meet regulatory requirements. In addition, many corporations and organisations insist on it, including government bodies in many countries. 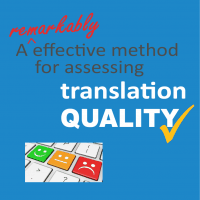 More generally, it is favoured for critical, high risk content where translation accuracy is paramount and any errors could have major consequences. For these materials, back translation is seen as an effective risk management tool. Why get a back translation? 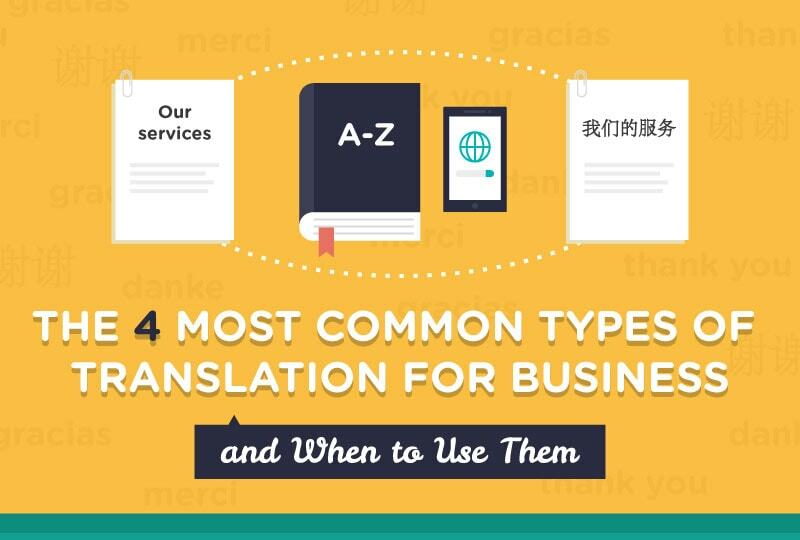 As a client you’ll be used to receiving translations in languages you can’t read. 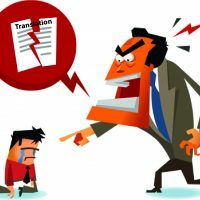 Because you can’t judge for yourself if those texts are up to standard, you have to rely on the competence of your translators or the judgments of others. The back translation method changes all that. It allows you to directly assess the accuracy of a translation for yourself – without having to know the translation language or get a second opinion from someone who does. This puts you, the client, in the driver’s seat of the quality control process on the project, something other QA methods don’t do. In other words, it gives you a direct, hands-on way of managing the risk involved in producing materials in foreign languages. 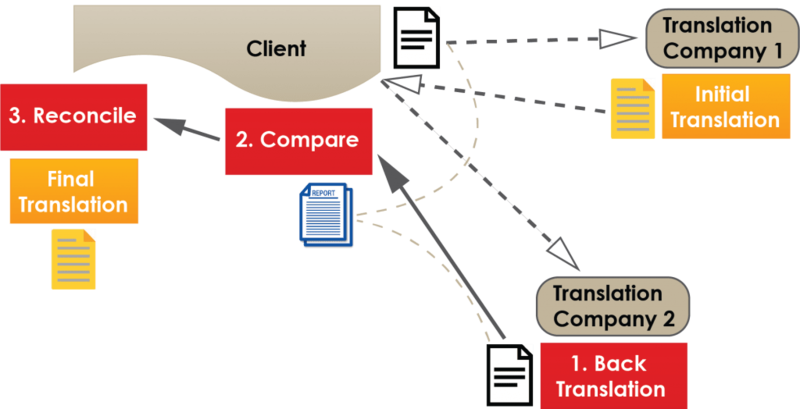 The back translation method can give you clear documentation of all phases of the QA process. a reconciliation document detailing how those issues were resolved. Plus of course the finalised translation. This gives you full transparency of the action taken, wording reviewed, changes made to the translation, and the rationale for those decisions. We’ve said that back translation is one way of confirming a translation is accurate. And we’ve seen its advantages of giving you control over the quality assurance process and providing clear documentation. But there are other matters you should also weigh up when considering if it’s a suitable method for a particular project. 1. It won’t assess quality of expression. 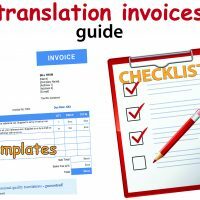 This may be important as most translations will need to be more than just accurate – they’ll also need to be well worded and read naturally in the target language. 2. It generally won’t identify typos, or grammatical, spelling and punctuation errors. 3. It generally won’t identify any ambiguities in the translation – text that is correctly translated but could be interpreted in more than one way, so might be confusing or worse, misunderstood by a reader. making sure the initial translation process includes a review of style and expression. Fortunately, quality-focused translation companies do this as standard practice. asking the back translator to flag any errors and ambiguities they notice in the initial translation. 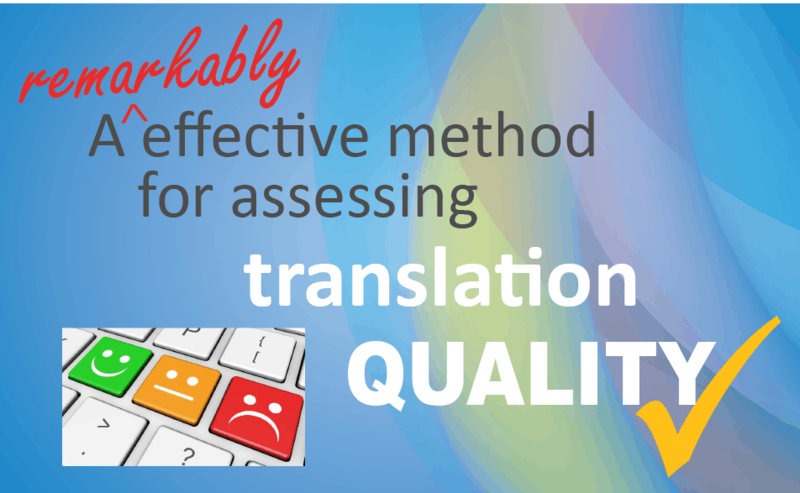 The back translation method is both more expensive and takes longer than other translation QA methods. 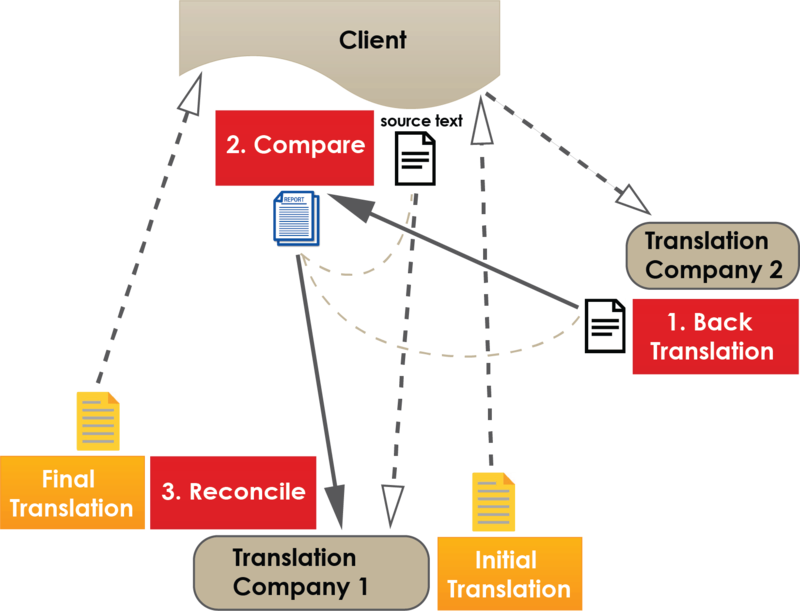 It will take at least double the time of a standard (single direction) translation process. That’s because it involves a full second translation, plus additional time to complete the compare and reconciliation steps. We therefore don’t recommended it when time is tight. It will also run to at least double the cost of a standard translation – again because of the second translation charge and the time involved in the compare and reconciliation steps. Here are three other options to consider for appropriate projects. Best practice in our field involves a 2-part translation process – an initial translation by an accredited translator, followed by a full review of that translation by a second linguist. This is prescribed in Standards EN 15038 and ISO 17100 as necessary to ensure high quality standards, and is rigorously followed by quality-focused translation companies. This is a lot to be checking, so a structured and thorough process is needed. 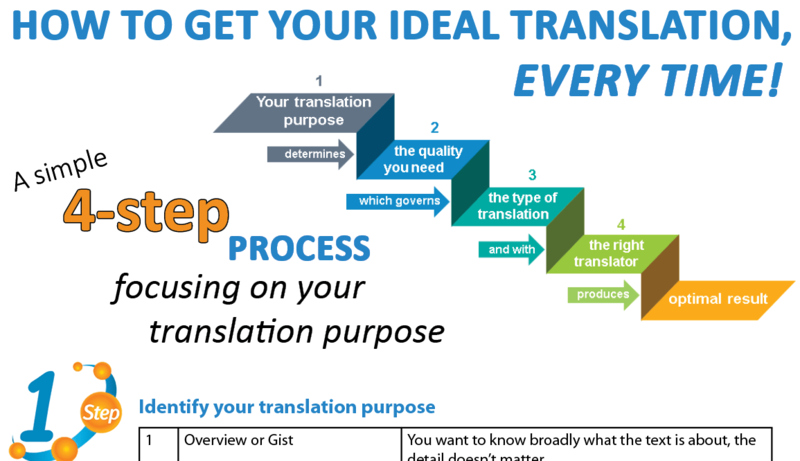 The 3-step translation review process we use has proven very successful over many years and we recommend it for the vast majority of business translation needs. Thus the translation you receive from your translation company should already have been reviewed for accuracy. You may decide this is sufficient for certain materials, and the additional back translation method unnecessary. Here someone who knows both languages will compare the translation against the original text to confirm it’s accurate – that all meaning has been carried over and correctly expressed. is quick and therefore comparatively inexpensive. On the other hand, it doesn’t provide the transparency and control of process advantages that back translation does. Note: The review needs to be done by someone with full command of both languages. Anything less and they may miss nuances of meaning and potential ambiguities. If your text contains critical specialised terminology, you may see value in a technical expert review. 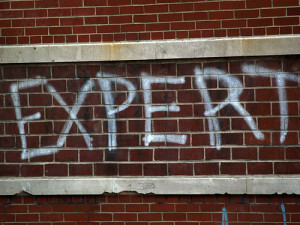 The expert would typically be asked just to read through the translation and identify anything that doesn’t sound quite right, isn’t particularly clear, or there is better technical wording. flag items in the translation for the translator to review. This isn’t strictly an alternative to back translation as it’s not a full accuracy check. However it’s effective in confirming technical terminology is accurate and appropriate. What we need to produce here is the same as for any other document to be translated – an accurate translation. 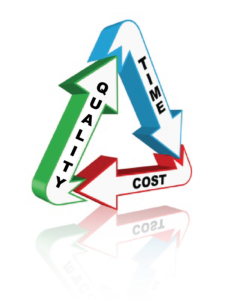 So the job is handled just like any other – following a proven high-quality translation process. It’s just that in this case the document we’re starting with is itself a translation, and we’re working back in the reverse direction. That said, it’s normal to tell the back translator that this is a back translation, to be used for comparison with the original text. That way they won’t spend much time polishing and refining their wording to create a high quality piece of prose. Instead they’ll produce a slightly more literal translation than might normally be the case. This ensures that original text can’t influence how they word the back translation. It’s important the person doing the back translation step is a proven, competent translator. – potentially compromise the outcome. Take care if you’re considering using an in-house or in-country bilingual for this step – not all bilinguals make good translators. The task here is to identify differences in meaning between the original text and back translation. The two texts will never be direct equivalents. We’d expect different ordering of ideas, vocabulary, even grammatical structures. None of these things matter though, as it’s not form that counts, but content. Another way of thinking of it is we’re looking for differences that matter. This sounds easy, but isn’t always clear cut. English original: Keep out of the reach of children. German translation: Arzneimittel für Kinder unzugänglich aufbewahren. Literal back translation: Store medicine so as to be inaccessible to children. There are obvious differences between the two English texts. But are these differences that matter? Assuming it’s clear from the context that the original is talking about “medicine”, the question is whether the texts convey the same idea, have the same practical effect on the reader. I’d say they do, so this wouldn’t be something to highlight. In practice there will often be instances where the person doing the comparison is unsure. If there’s any doubt, they should flag it as a potential issue. It’s helpful to understand that what we’re identifying in this step are only pointers to potential issues – that will be investigated and resolved in the next step. 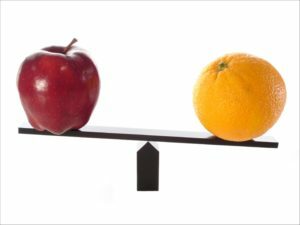 The secret to a successful comparison is distinguishing between differences that matter and those that don’t. We work from side by side hard copies rather than on screen. That’s because it’s much more reliable – it’s just way too easy to miss things on screen. We’ll work through the two documents, systematically comparing small chunks of text typically 7 – 10 words long – not too long to retain in short term memory. Any apparent or potential differences will be highlighted on the hard copies, then transferred to a spreadsheet. This can become a Potential Issues report clients can choose to receive. If no potential issues are identified, we’ll confirm the translation as accurate. Otherwise it’s on to the reconciliation step. Linguists will generally find this an easier task than non-linguists. 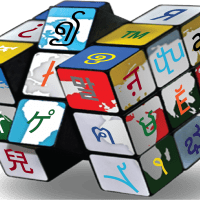 That’s because they’re used to dealing with different languages, and their variant structures and ways of expressing things. Non-linguists often find those variations unsettling and so struggle to disregard superficial differences. Experience also counts – it’s something a little different for most translators, and some take a while to get the hang of it. Most improve with practice. An ability to grasp what the task involves, disregard the inconsequential, and hone in on the essential meaning is what really matters. 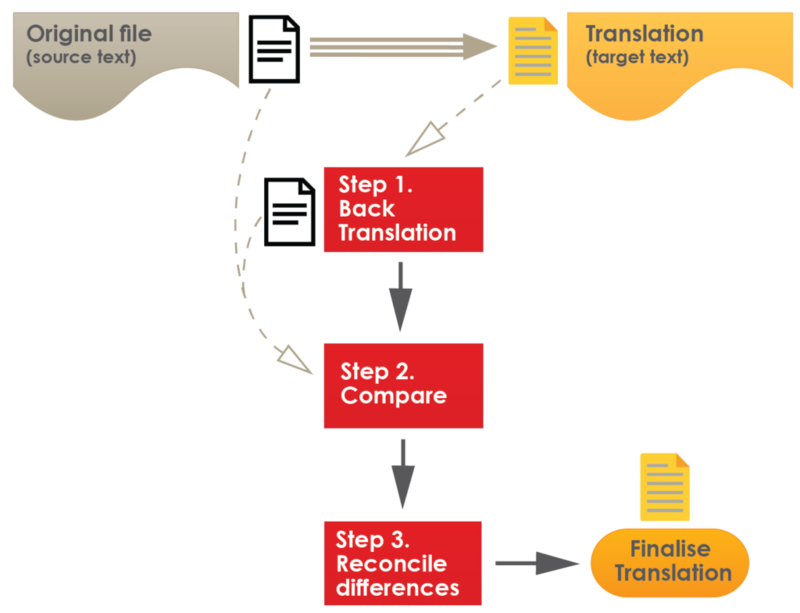 The goal here is the same as for the back translation method itself – to produce a translation that is accurate. So we review the original translation in those parts identified by the compare step to see firstly that it’s accurate (see what we mean by that here) and secondly, well worded. If it’s not, we fix it. If it’s fine, we won’t touch it. It’s essential to have the right focus here. The objective is not to end up with a back translation almost identical to the original (source) document. This is where clients sometimes come unstuck when doing this step in-house or reviewing what we’ve done. They can incorrectly assume the closer the two source language texts are to each other, the better the translation. This is not only incorrect, but worse, is counterproductive. It generally leads to the translator being asked to change a perfectly good translation for more literal, somewhat clunky and less effective wording. Instead, the back translation needs to be put aside – it was only a means to an end and its job is done. The focus now must be solely on the translation itself, and whether it accurately reflects the source text. It must be judged on its own merits, not indirectly based on texts in another language. The Compare step will have produced a set of apparent differences in meaning between the source text and back translation. The first thing to do is check that the back translation is correct. If it isn’t, or could be more precise, we update it and repeat the compare step. If the back translation is fine, then the original translator will revisit his/her work. If there’s an issue, or improvements can be made, they amend the translation. 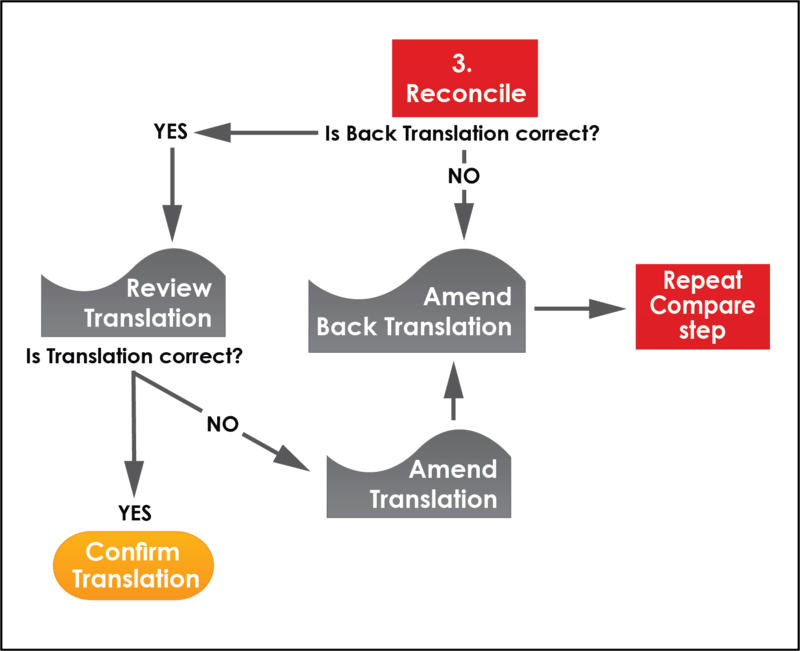 The back translation is then updated, and the compare and reconciliation (if needed) steps repeated. If the translation is fine, the translator will confirm this and explain why. It can be difficult to explain precise meanings and text subtleties in one language using another language. We need to accept that someone who doesn’t speak the language sometimes won’t fully get why the translation wording is so good and shouldn’t be changed. We should defer to the translator’s judgement as they’re the experts in that language. The golden rule is to only change the translation if it isn’t accurate or for clearer wording. Another way of looking at it is that the Compare step will often throw up false indicators. These are things that look like they indicate a problem, but turn out not to. They look that way because languages can express ideas in multiple ways. That’s why the focus must be on the translation itself and its essential meaning and function. The secret to a successful reconciliation is understanding the compare step only produces indicators of possible issues, not evidence of actual errors. The four English phrases convey different concepts and have different vocabulary and structures, so might be flagged in a compare step. Yet all three translations are the perfect wording for this context – this is exactly how you end a formal letter in these languages. Judged on their own merits the translations are spot on, and shouldn’t be changed. 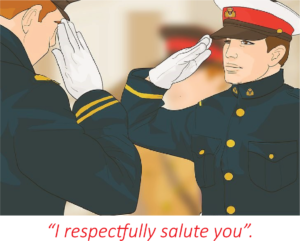 In English we wouldn’t consider changing “Yours sincerely” to “I respectfully salute you”. Changing the foreign language texts to something closer to the English would create equally strange and unnatural texts in those languages. The translators would recommend no change and explain that this standard wording in their language is functionally equivalent to the English. The translator will generally work with the spreadsheet created in the compare step. that no change was made, and why. We can also extract this information into a separate Reconciliation report. 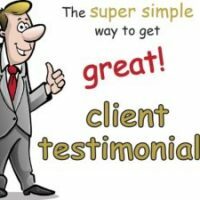 With this report clients can easily review what we’ve done and ask for further explanation if needed. In can be provided with the final translation, and the back translation if required. The review of the translation should always be done by the original translator. That’s because they’re familiar with the entire text, which may have influenced their choice of wording in the parts under scrutiny. 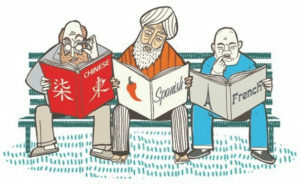 A fresh translator looking at isolated sentences will lack that overall context, and may make ill-advised changes – for example use terminology or phrasing that’s different to elsewhere in the translation. Of course if there’s any doubt over the translator’s changes or explanations, we’ll get a second opinion. In addition, we’ll have a source language speaker review the changes made and explanations given to confirm the reconciliation process has been thoroughly and correctly carried out. This will be a senior translator or administrator experienced in back translation methodology. There are several options of who to engage to complete the different steps in the process. Some clients use their own staff for the compare step, and a few also for the reconciliation. 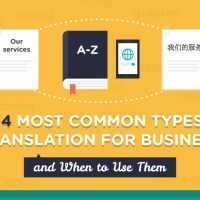 Most though use translation companies – either one company for the full process, or two separate providers. Who you choose should be guided by how involved you as the client want to be in the process, and whether you have appropriate personnel in-house for the compare step. Here are the three main scenarios. 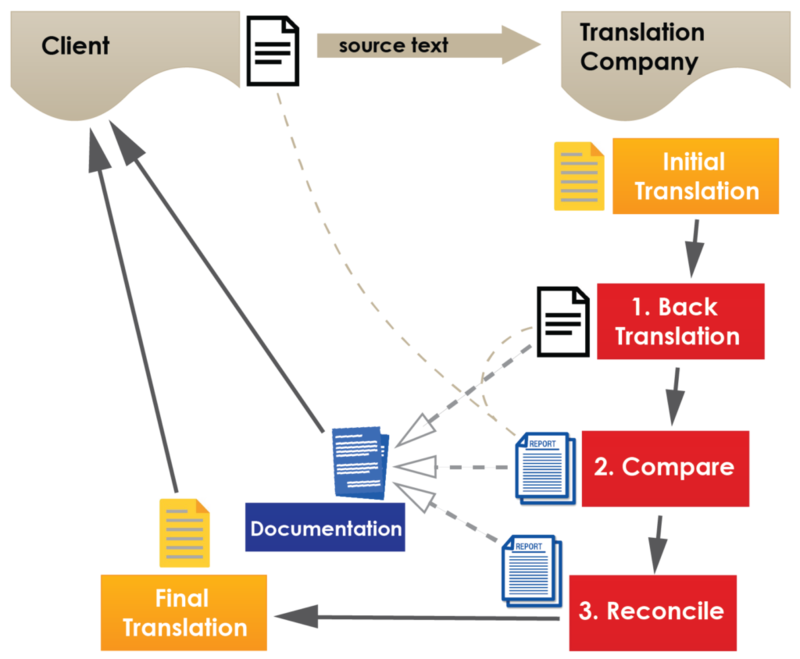 Here your translation company does the initial translation as well as the full back translation quality control process. 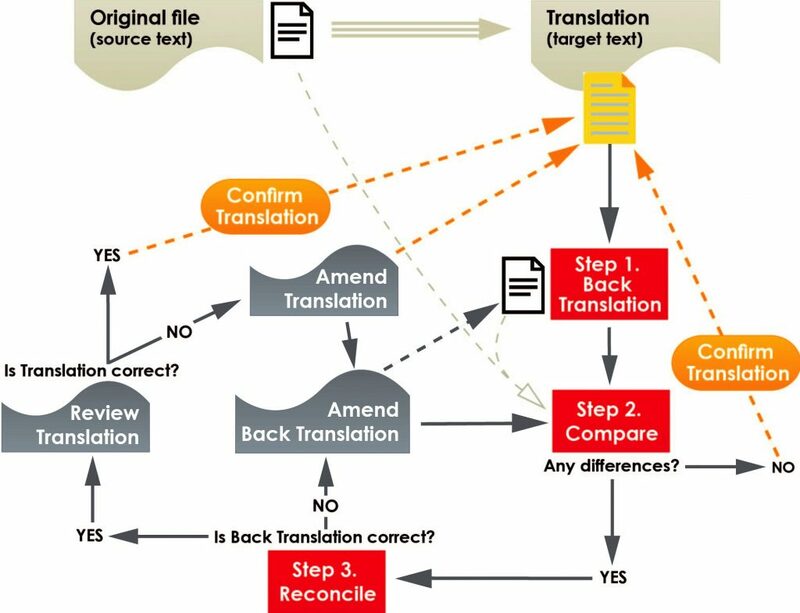 Specifically, if they allow the back translator access to the source file he/she might adjust the back translation wording to more closely match that text. This will generate fewer compare queries, meaning less work overall. This may not be as serious as it sounds though, as most compare queries are in fact false indicators. A competent initial translator and sound translation process should mean few if any issues in the translation. And any that do slip through should still be identified in the back translation step. However it’s risky and they won’t have strictly followed the method as intended. Use a reliable translation company! Here one translation company does the initial translation, and another the back translation. Someone in your organisation then does the compare step, and the original translation company the reconciliation. This solves the potential disadvantages of the first scenario, but raises other complexities. Normally only larger clients with the required skilled personnel and a well established process integral to their operations use this scenario. The pharmaceutical and clinical trials industries are examples. For these clients, back translation may form part of a larger process, particularly including pre-testing of the translations with users. An example is the WHO process relating to substance abuse materials. Relatively few translation companies have experience with back translation. So look for a company that demonstrably knows what’s involved and how to go about it. Experience is important for getting processes down pat and learning which linguists are best suited to these projects. The single most important requisite for success is thoroughness. 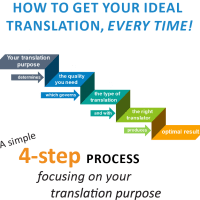 The back translation and compare steps require meticulous attention to detail – these aren’t processes to be rushed or entrusted to inexperienced translators. It can be hard to judge if a translation company is genuinely quality-focused and will do the job you need here. For pointers on what to look for, see how we go about achieving and maintaining consistently high translation standards. You’ll want to be happy they will complete the process fully and professionally. If you want Potential Issues and Reconciliation reports, make sure the Company has an established process for creating these and they’ll provide the transparency you want. c. Using in-house personnel: do they have the required skills? This step is crucial for the success of any back translation project. It’s essential your person clearly understands the need to focus on meaning not form, and how to carry out the comparison. Most importantly, make sure they have the right personality and skillset. They need to be attention to detail people to ensure they’ll do a thorough job. But at the same time they need to look beyond the superficial detail to the essential meaning in the text. This requires a delicate balancing act between absorbing the specifics and cutting to the chase that not everyone is suited to – including linguists. Avoid anyone tending towards the pedantic – they‘re likely to overly favour form. Be cautious of anyone known for their speed and efficiency – they may not take quite enough care. If your person hasn’t done it before, expect some speed wobbles – it can take some getting used to. Whoever does the reconciliation determines the final wording of your translation. It’s a crucial role and really calls for an accomplished translator. This is why it isn’t often handled by clients in-house, and is left to the translation company who produced the initial translation. At the very least make sure your person has excellent writing ability in the target language, is an attention to detail person, and has high command of the source language. Anything less, and you’re probably taking an unnecessary risk. The whole point of the back translation method is to give you confidence your translation will do what you want it to. It makes sense to actively manage your projects to get the greatest level of assurance you can. 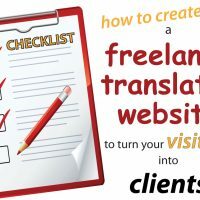 Here are 5 key tips to help ensure you’ll get the results you want, and give you maximum confidence the back translation process was correctly carried out. Make sure the initial translator doesn’t know there’s going to be a back translation process. Because they might anticipate potential queries and be tempted to stick unnaturally close to the source text wording and word order so the upcoming back translation will more closely match the original. This can result in a slightly stilted final translation that may not have the full impact you want. For a translation company doing the full process (the one stop shop scenario), this should be standard practice. They should know to ring-fence the initial translation and use different personnel for the later back translation process. But this is where you need to be sure of their expertise and integrity. We’d suggest you stipulate this as a requirement – it won’t hurt to stress the point. If you’re using separate translation companies, it’s easy. You just don’t tell the first company there’s going to be a back translation. Make sure the back translator does know this is a back translation for quality control purposes. If they know this they’ll err on the side of the literal to express as closely as possible the precise meaning of the translation, which makes for a more effective compare step. Their translation will still be clear, but the wording won’t have been “polished” and refined to the degree it normally would. Again, a one stop shop company should do this automatically. Otherwise just tell the second company. Do request the back translator to also check for and flag any ambiguities, typos and punctuation, spelling or grammatical errors they find in the initial translation. There shouldn’t be any of course but it does happen and this is a simple additional safety check to cover off that possibility. You need to specifically request it though as companies won’t necessarily do it as a matter of course. Do ensure you get the level of documentation you want. You’ll get the final translation of course, but you may also want the back translation, plus documentation showing the items flagged in the compare step, and how they were resolved..
Do consider reviewing this yourself. This should give you confidence the process was carried out appropriately, and the final translation is fit for purpose. If you have any doubts over a query or how it was resolved, seek clarification from the translation company. Like a copy of our back translation guide? Then right click and save, or use the download icon. 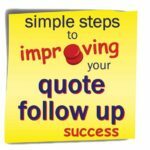 Let us quote for your next project! We know our stuff and give great service. – e-mail us the details.